We are interested in understanding how genomic changes result in the extraordinary biological diversity of vertebrates, and in leveraging evolutionary variation to better understand the relationships between an organism’s ecology, phenotype, and genotype. 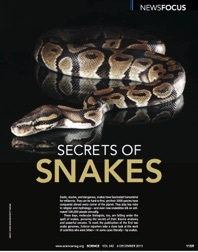 A number of projects in the lab focus on evolutionary genomics of reptiles, especially snakes. Because snakes possess so many unique or extreme phenotypes, they are capable of providing unique insight into vertebrate biology and adaptation. Research techniques are diverse in the lab, and include molecular laboratory work with DNA and RNA in addition to computational work to analyze large datasets available to the public or that we generate ourselves in the lab. Additionally, some of our projects require fieldwork to collect specimens (since we are also interested in how adaptation occurs at the level of populations). Our work also addresses a large diversity of questions, some of which have strong relevance to human biology and human health, while other questions target broader biological understanding of how genomes evolve, and how organisms adapt. Given the breadth of techniques and questions in the lab, a great diversity of personal interests of graduate or undergraduate research can be accommodated. 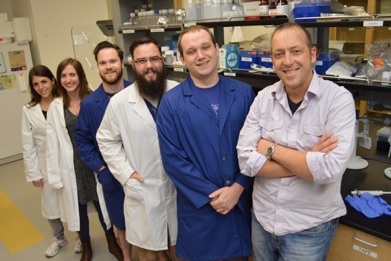 For more information on lab research see our Research and Publications pages.